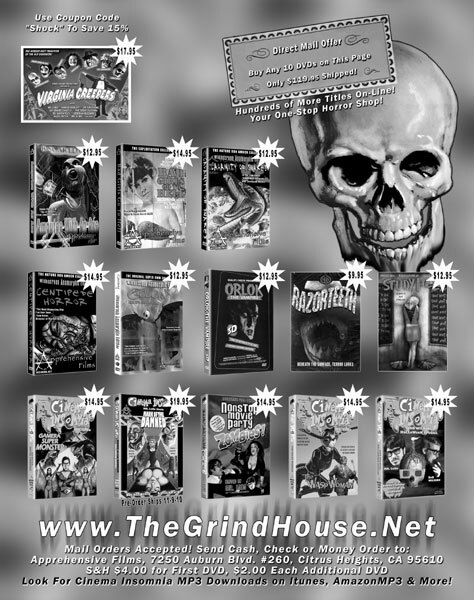 Here's a sneak peek at the full page ad we're running for our online store http://www.thegrindhouse.net/ for Halloween. 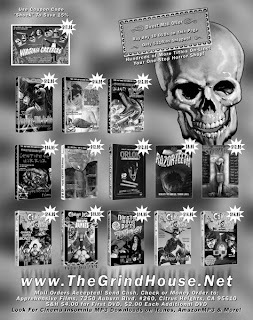 This ad will be running in Screem Magazine #21, Shock Cinema Magazine #39 and Scary Monsters Magazine #76. All three magazines hit stands this October. We're running some great specials including 15% off coupon codes and bundle packages!